The rise of the datacentre has led to the mapping of the ‘Critical Power Path’ by specialist electrical engineers who understand the flow of electricity throughout an IT facility. A critical power specialist is concerned with electricity path from the building sub-station and incomer through switchgear and UPS systems to distribution at the rack level by power distribution units. Their purpose in examining this critical path is to identify single points of failure in order to improve the overall resilience of the datacentre facility and meet one of the Uptime Institute’s operational Tier Levels. The critical power path concept can be applied to any installation that relies on its electricity supply for operational continuity. This can include smaller comms rooms, server rooms and local area networks (LANs) as well as industrial manufacturing processes, transportation, medical facilities and telecommunications. The Critical Power Specialist therefore has to be an expert not just in electrical engineering but also power protection and the range of electrical power solutions available. Furthermore they must be proficient in their operation and optional accessories. For example, knowing whether to run a UPS in ECO-mode for the facility to improver operational energy performance and meet a specific Power Usage Effectiveness (PUE) level. To determine the critical power path, a typical specialist will start with a set of drawings and conduct a site survey. 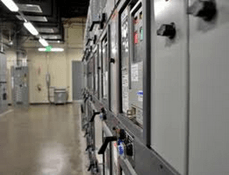 They will look at the plans to determine breaker discrimination and fault paths, UPS and generator loadings, the use of static transfer switches and PDUs for A and B feeds as well as overall ambient temperature. The Critical Power Specialist will also advise on electrical works, cooling and ambient temperatures as well as software integration within virtualised and monitored environments using DCIM packages. As well as determining critical loads, the engineer will also determine essential and non-essential loads. Essential loads are those that support the critical loads such as air conditioning and so must be powered during a mans power failure. This can be achieved through their connection to standby power generators rather than uninterruptible power supplies. Non-essential loads are those that can be allowed to fail during a power break and can include general lighting systems. What makes Critical Power planning so important is that when a system is tested during a ‘black run’ or when the mains power actually fails to support the facility, the implemented power protection system must support the load(s). Many generators are tested once a month to ensure that they run. Two of the biggest sources of start-up failure being a failed starter battery or breakers left open during a routine generator service. UPS can also be tested with a simulated mains power failure (opening the input circuit breaker) but care has to be taken here to ensure the batteries are fully charged.